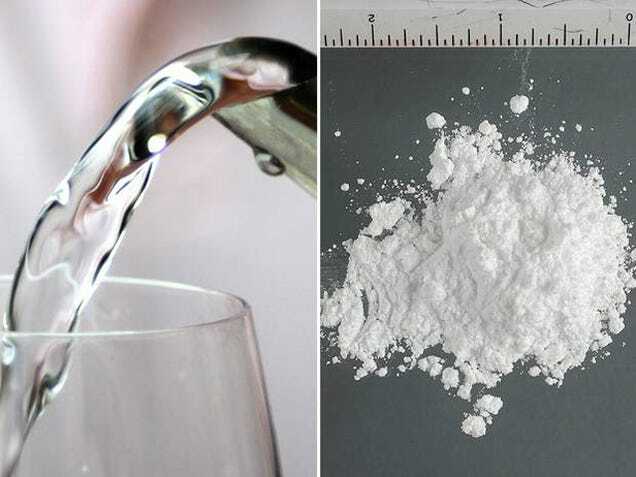 In a study to assess the dangers from pharmaceutical compounds appearing in the water we drink, scientists discovered traces of cocaine after it had gone through intensive purification treatments. "We have the near highest level of cocaine use in western Europe," Steve Rolles of drug policy think tank Transform, told the Sunday Times. "It has also been getting cheaper and cheaper at the same time as its use has been going up." According to the charity DrugScope, there are around 180,000 dependent users of crack cocaine in England, and nearly 700,000 people aged 16-59 are estimated to take cocaine every year in Britain. But it's safe to still drink the water, our English friends! "Estimated exposures for most of the detected compounds are at least thousands of times below doses seen to produce adverse effects in animals and hundreds of thousands below human therapeutic doses." can people now use this as an excuse when they test positive for drugs? Like the old I had a sesame seed bun for lunch . Explains Afro, Y.Gun, Cherry, and a few others on their behavior. Crackish. I've always wondered about this. What IS that about?